A package arrived today from Reaper Miniatures. We ordered some new miniatures for my kids because they love to play with my miniatures so we figured this would be a lot of fun for them. My son really loves things like squid, lobster, spiders, snakes, bees, and other animals and insects. He is always asking to play with my "purple spiders" which are just the Giant Spiders that D&D put out. My daughter just likes playing D&D. We streamed our game a couple of weeks ago and she asks me every couple days to play again. This last week when the kids were playing with my miniatures she was recreating Pokemon with them. They played for hours with those Reaper Bones miniatures. I can't wait to do the box opening with my daughter. The plan is to film it and put it out as an unboxing video. Free RPG Day 2015 has passed us by. This year the store I pick my stuff up from was having a Magic the Gathering Tournament which meant that no RPG events were happening. They had the stuff laid out on the counter though for anyone to just come up and get what they want. I had taken my 4 year old daughter so she could get something and she chose the Pathfinder Card Game Cards, the Pencil, and Valiant. 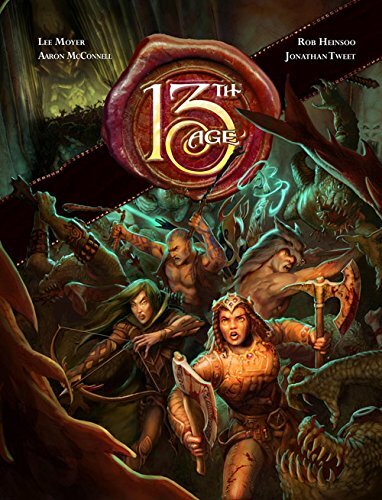 I picked up the Coin, Munchkin Bookmark, 13th Age At Lands Edge/Nights Black Agents The Harker Intrusion, Castles & Crusades Shadows of a Green Sky, Atlantis Second Edition, Fifth Edition Fantasy Into the Dragons Maw, Through the Breach Recruitment Drive, Dungeon Crawl Classics Judges Screen, Pathfinder Module We Be Goblins Free. Last year I picked up just as much but ended up giving most of it away to people I thought would enjoy the things I had. There is a lot that people can try out for the first time and that is the beauty of Free RPG Day. I highly recommend people go out and pick up whatever they ca especially if they are new to RPGs or looking to try them sometime. The thing I always do first when I get all of the free stuff is look through the products and cherry pick ideas for the games I am currently running. Then anything that stands out I will tend to use. If everything seems good like a full adventure then I may consider converting it over to the system I am currently favoring. This year that would be 5e. So Fantasy products are the go to for me. This year the things that really stood out to me were the Goodman Games Fifth Edition Fantasy Into the Dragons Maw, Atlantis, and Castles & Crusades Shadows of a Green Sky. The Dungeon Crawl Classics Screen has some useful crit hit and fumble charts I like and I like the artwork too. The coin is really high quality as well. Into the Dragons Maw is perfectly compatible with 5th Edition D&D. The adventure is solid, and has a really cool monster that I want to use pretty bad. They also have some new magic items in the back which are decent. I am planning how I can use this in one of my upcoming games. This would be something I would use in my family D&D game. Atlantis is a really nice product that I have only skimmed over. The system seems interesting and actually looks like it may be pretty simple. If I gamed a lot more I would probably consider picking up the core book for this game even. Castles & Crusades is a good game and there product last year gave me a lot of inspiration. This year I have skimmed through it but haven't felt too inspired yet. I am hoping once I read it I will get a lot of great ideas. All of the products are great and they are FREE! They lead to great chances to try new games and I am surprised more systems don't participate. For example Dungeons & Dragons could have taken their FREE PDF and made a print version for this event. Wouldn't that be great? I will wrap this up by saying next year don't miss out! Get out to your local game store and pick up the items they are giving away for free if you like RPGs.